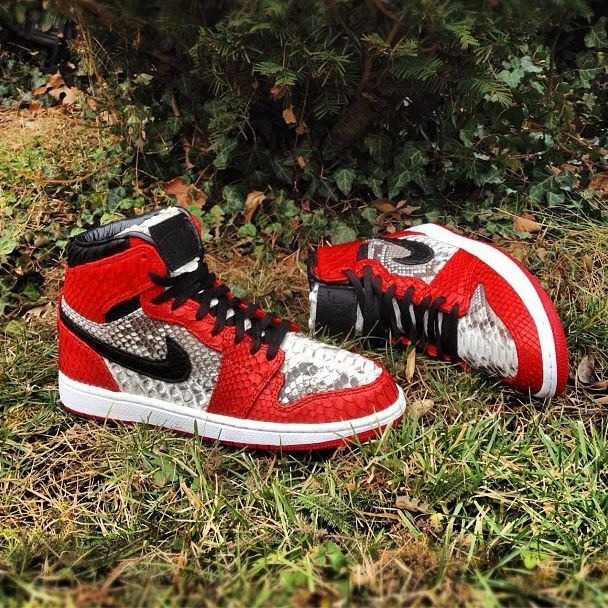 After a successful Air Jordan 4 “Python” custom, the team over at JBF customs is now applying the YOTS theme to the recently releases Air Jordan 1 “Chicago”. 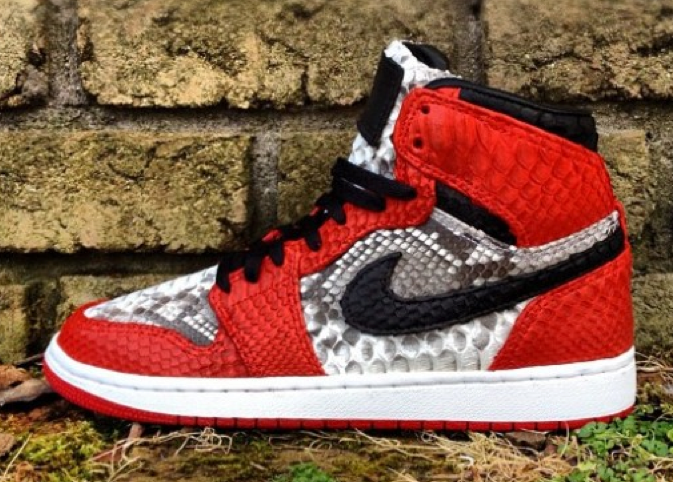 The shoe gets covered in the scaly material, where the white leather is replaced with an authentic looking black tinted python skin, while the red areas get the affixed with a skin of the the same hue. The site will be taking orders for a limited run, and they are a bit on the pricey side, but well worth it. If you’ve got a pair laying around that you need to add some flair to you’ll get your shot because this version will be available tonight at JBF.